While Camden Street locals still have some logistic reservations about the area’s impending JD Wetherspoon franchise, many are now welcoming the mega-pub and its accompanying hotel rooms. 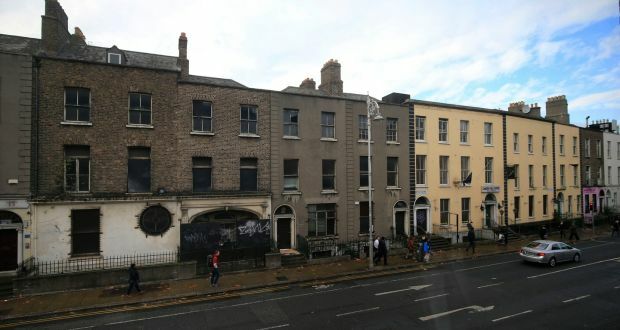 The British pub chain bought Camden Hall, Ireland’s largest homeless hostel, in 2014 to convert it and the building’s adjacent houses into a 98-room hotel and bar complex. Although concerns about the area’s high concentration of pubs put Wetherspoon’s €4 million plans on hold in March, Dublin City Council approved the scheme last week subject to 20 conditions, including a ban on amplified music which could be heard from the street. While locals said they’re now not worried about noise pollution or extra pub-goers in the area, potential traffic congestion throughout the hotel’s construction and operation remains an issue. While he is apprehensive about competing with construction and delivery trucks on the narrow laneway, Mr Hamilton said development of the site was overdue. “It would be nice to tidy up the street and to have some sort of development there, ‘cause I mean it’s been an empty site for a long period of time,” he added. Paddy Dooner (57) lives just around the corner on Adelaide Street. Most residents are used to the noise that accompanies the area’s abundant pubs and restaurants, and one more won’t affect the already lively street, he said. The “well-priced” British chain will, however, keep local establishments on their toes, he added. But some local publicans said they won’t shy away from a bit of competition. Camden Street is a vibrant area, said Cassidy’s Bar owner Fran Ryder, and the Wetherspoon complex will only add to its vitality. Mr Ryder added he doesn’t think traditional pubs like Cassidy’s will lose business to the chain because they market vastly different experiences, and the city needs more beds for tourists. Source: Irish Times. To read the article, click here.